Karnataka Polls : Congress President Rahul Gandhi Press Conference Comments on PM Modi Govt on Saturday. Express Photo by Amit Mehra. 19.05.2018. 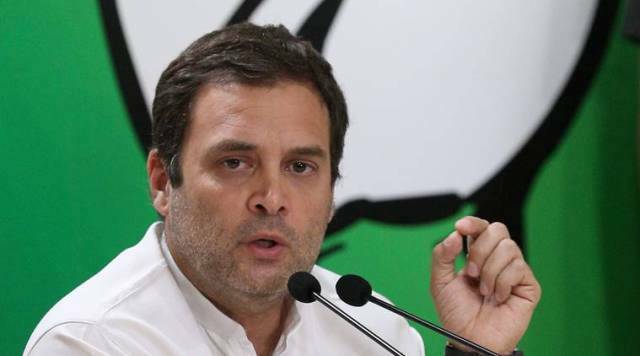 *** Local Caption *** Karnataka Polls : Congress President Rahul Gandhi Press Conference Comments on PM Modi Govt on Saturday.